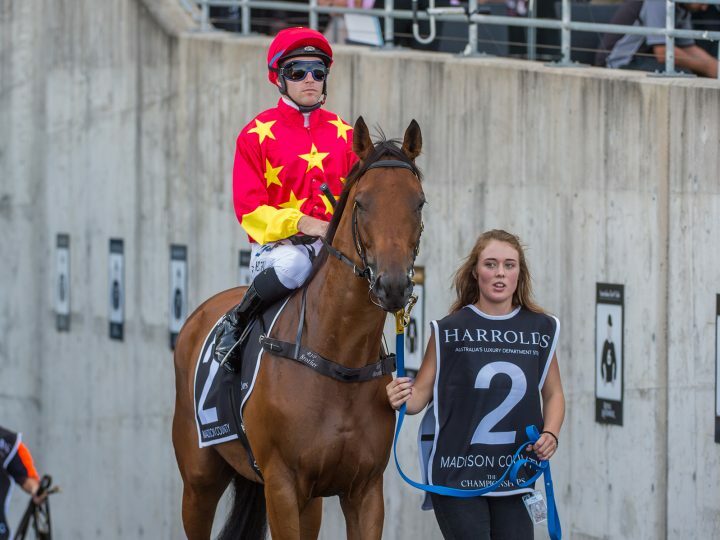 Waikato Stud graduates performed with distinction in today’s $2 million Gr.1 Australian Derby at Randwick. The Matamata farm’s graduates Madison County and Surely Sacred finished second and third respectively. For good measure, Savabeel’s son The Chosen One came from last to take the fourth spot. A son of Pins, Madison County was gallant in his chase for another top-flight title. The Gr.1 NZ 2000 Guineas and Levin Classic hero closed gamely along the fence, but couldn’t overhaul the front-runner Angel Of Truth. Rock ‘n’ Pop’s son Surely Sacred also turned in a meritorious effort and found the line strongly. Bred and sold by Waikato Stud, Madison County was a $36,000 purchase for the China Horse Club and Surely Sacred a $160,000 buy for Raffles Racing.